Experimental observations clearly show that dispersed-phase pore-scale flow effects of emulsion flow are responsible for drop entrapment at pore throats and this strongly depends on local capillary number. As a result, this dimensionless number is key to parametrize emulsion flooding for EOR purposes. In this work, we incorporate capillary number effects that influence two well-known oil recovery mechanisms observed in continuous emulsion flooding, namely a microscopic increased pore-level efficiency, and a macroscopic mobility control or flood conformance. These mechanisms can be advantageously exploited in a newly proposed process denominated water-alternated-emulsion (WAE) injection, which is the focus of this article. To this end, a capillary number dependence was added to our initial model . The resulted parametrization of relative permeability curves as functions of the capillary number was implemented in a Matlab open-source code. A parametric analysis of a 1/4 five-spot geometry used on the first layer of the Tabert Formation shows that capillary number can significantly impact emulsion mobility control potential that has been shown to contribute to the observed oil recovery enhancement. Emulsions with adequate drop-to-pore size ratio and interfacial properties optimize emulsion mobility reduction and sweep efficiency. Results show that timing of the emulsion injection can promote conformance improvement and accelerate oil production. 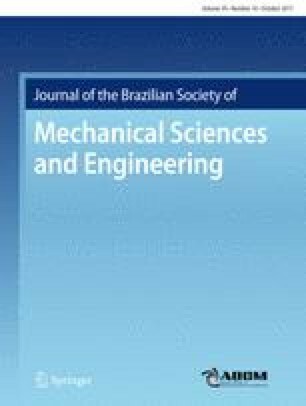 Mitigation of high injection pressure observed in continuous emulsion flooding is possible during cyclic WAE injection without significant oil recovery impairment. We would like to acknowledge the Chevron Corporation, Petrobras, and the Enhanced Oil Recovery Institute (EORI) at the University of Wyoming for financial support.